5 Things You Can Do to Improve Hourly Recruiting, Today! Recruiting hourly workers is hard. It’s expensive and time consuming, especially for hiring managers who have hundreds of tasks that need attention. It doesn’t matter if you are a small company making a handful of hires or an enterprise organization hiring over 50,000 hourly employees in a year. Keeping up with the demands of hourly recruiting continues to be a struggle especially as labor markets get more competitive. Below are 5 things that any company can implement immediately to ease the burden of hourly recruiting on their organization. Your hourly candidates are mobile and you better be too! Most companies assume that they have a mobile apply process, which is probably true. Just because someone can technically apply to your job from a phone, does not mean it’s easy to complete! In fact, there is a very big difference! Your mobile apply experience may actually be making things worse for your company and could be a reason you struggle to get candidates. I challenge you – when you are done reading this article, go grab a cup of coffee and try to apply to one of your jobs from your phone. And make sure to do it from start to finish! Time yourself and see what the process is like for your candidates. Ideally, you should have a short and engaging application that’s easy for a job seeker to apply. Don’t just stop at mobile. Offer new apply avenues that enhance your brand. As an example, some new and popular methods are Text to Apply and Facebook Apply. It’s all about giving job seekers more options and, as a result, you will see a drastic increase in your candidate volume. So many companies waste money on job advertising. One popular advertising strategy amongst organizations that hire hourly workers is Post & Pray. Most hiring managers would admit, this is not a reliable strategy. It’s a challenge to know when to post, where to post, what job title or description to use use, do we advertise pay, etc. I’ll refer back to the point highlighted above: all of those are important but one key feature is often very overlooked. Your application is not optimized for hourly workers. You are wasting your money if you advertise on a job board but don’t have a compelling application process that’s easy for job seekers. You waste clicks and valuable time on a job board, not to mention the negative impact on the business by not filling the open position quickly. Once your application has been addressed, you will begin to see better results and can post more strategically on job boards. One strategy is a grassroots approach. Recruit your customers! They are familiar and loyal to your brand and could be potential candidates. Enhance your Facebook job advertising. In addition, you can leverage text to apply codes on your Facebook page, now hiring signs, flyers, job fairs, for referrals, etc. If job posting is too overwhelming and too much of a manual process, take a look at solutions that can automate posting for you. A pay-per-performance model is a great solution to help if you cannot manage the demands of posting manually. 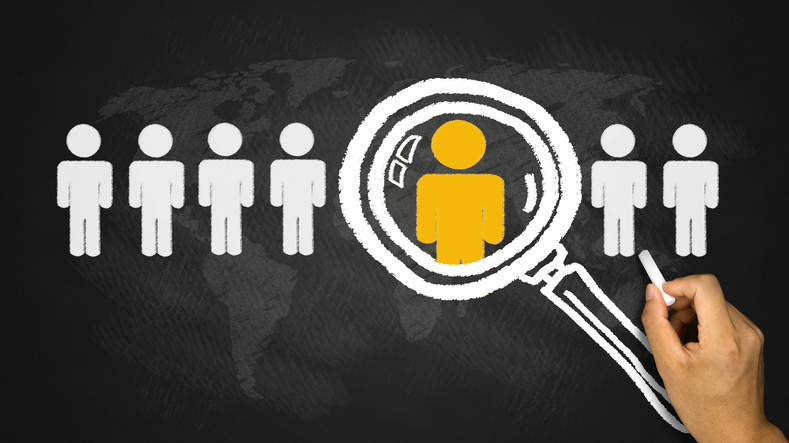 The first company to reach a candidate is most likely to get the hire. Speed of recruiting is critical and the best way to reach those candidates is through text message. Let’s be honest with ourselves, when you feel the vibrate in your pocket you check to read the text and who it came from. Most people admit they won’t answer a phone call if they don’t recognize the phone number. People prefer to text versus answering a phone call or responding to an email. Rather than use a personal device, it’s recommended to go with a texting platform for compliance reasons. Recruiters using a personal cell phone means texts can’t be searched or audited. Also, does anyone really want to use their personal phone to text candidates? Most hiring managers are not comfortable giving out their personal cell phone number to strangers. Additionally, a texting tool is a much more cost effective approach for larger organizations that purchase hundreds of cell phones for their hiring managers. When you post a job, be honest and upfront about the responsibilities of the position. It’s better for you in the long run if people understand what they are signing up for. You don’t want to waste your valuable time interviewing people who may not be interested because they didn’t fully understand the duties of the position. Be direct in your job descriptions but highlight your culture as much as possible. Just because you outline the responsibilities and expectations of the role doesn’t mean you can’t keep it fun and be light-hearted. Culture is an extremely important part of the evaluation process for hourly workers and can help establish a more productive environment for your employees. Turnover is inevitable in the hourly space but limiting turnover will lessen the negative impacts on the business and your other employees. Hourly workers want to work for an organization and leaders who are sincere, compassionate, and truly value their success. They have dreams and aspirations just like anyone else who is looking to advance their professional career. It’s important to highlight the growth opportunity not just monetarily but also professionally and personally. You can include some of these items in the job description but more importantly, it’s critical to outline growth opportunity when you are selling your company to the candidate during the interview process. If you can build trust with the candidate and show that you care about their success, it will help you hire the right people who are more invested in your organization. These five simple adjustments within your hiring process can ease the burden for your hiring managers and help you attract better talent. Hourly recruiting doesn’t need to be so hard. If you are interested in learning more about texting solutions or more robust application platforms that are designed for hourly workers – reach out to Jobalign!